KLearning Spanish opens up an exciting, diverse world, stretching from the Spanish Peninsula to the jungles of Peru, from the Argentine pampas to Mexico’s northern deserts. 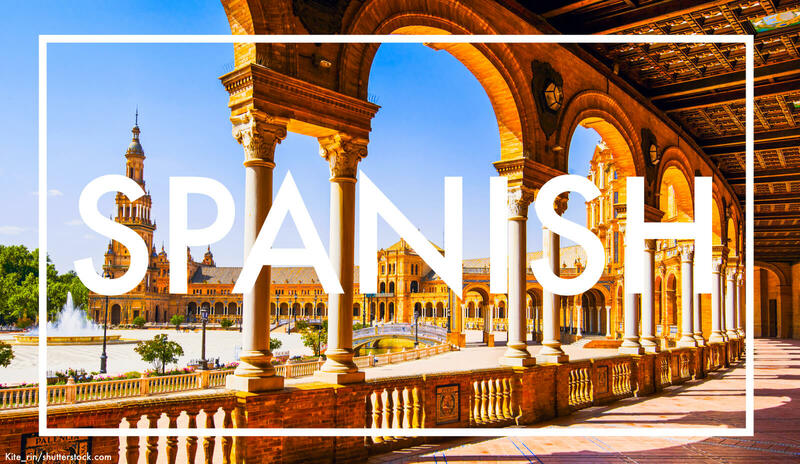 As well as providing the traveller with the lingua franca of over 20 countries, Spanish is connected with a rich culture of world-class literature, art, music, cinema, and architecture. Spanish is an excellent choice for a new language to learn, and here we outline exactly how you should go about achieving this goal. For anyone learning a foreign language, nothing is more important than choosing the right learning resources. However, as with most languages, the amount of available material for learning Spanish is overwhelming, and the quality varies enormously. Of course, the material that you use will vastly depend on your current Spanish level. (After all, there's nothing more dispiriting than working through a course that's too easy or too difficult for you!) That’s why we have divided the guide into three sections: beginners, intermediate, and advanced – showing you exactly what you need for the stage you’re currently at. The easiest way for complete beginners to get going with Spanish. The book is divided into short lessons that clearly and gradually explain all of the necessary grammar. Even comes with online audio accompaniment of the authors providing extra clarifications. Lots of end-of-chapter exercises. Should be all you need for grammar to take you up to an upper-beginner level. As you can imagine, there were literally hundreds of Spanish textbooks for beginners to choose from. We believe that Getting Started with Spanish is the best because it makes absolutely no assumptions about your prior level of Spanish and is specifically designed for self-learning beginners. If you are a false beginner or you have experience of learning foreign languages, then you may prefer to try Basic Spanish, another brilliant introdcutory textbook. What we particularly like about this textbook is the way that each chapter builds on the last, constantly reinforcing topics that you have already covered to refresh your memory. By the end of the book you will have a solid footing in –ar and –er verbs, adjectives, pronouns, question words, and other basic language skills. Combined with the vocabulary that is gradually introduced to you, the grammar here should give you the confidence to conduct a basic conversation with a Spanish speaker. At this point you will be at an A1 level and ready to move on to the next item in our list. Of course, there’s no reason why you shouldn’t supplement Getting Started with Spanish with other grammar guides. There are plenty of excellent free websites on the internet that go over all the grammar that a beginner needs to learn. Our favourite is Spanish Grammar in Context. This professionally produced website is organised in a neat and user-friendly way. Quizzes and video explanations make this a great way to consolidate things you learn from your textbook. Another option is Spanish Learning Exercises. Although there aren’t a huge number of exercises here, the ones that do exist will be useful if you finish the end-of-chapter tasks in your textbook and want a bit more practice. Entertaining beginner’s coursebook that will take you up to a solid intermediate level. Absolutely packed full of information, whilst still being highly readable and funny. Particularly useful for pointing out common mistakes that you are probably making to help you sound more authentically Spanish. Once you have worked your way through Getting Started with Spanish you will feel confident with the rudiments of the language, but you won’t quite have reached intermediate level. This is an excellent choice for those looking to fill in the gaps. Breaking Out of Beginner’s Spanish does just what it says on the tins: it provides a path out of that awkward stage where you can say a little (clumsily) but probably don’t understand much. Written by a native English speaker, this book retains a light touch whilst covering important topics like common idiomatic phrases, pronunciation, verb usage, false friends, and set phrases. Solid reference book, detailing the full conjugations of 501 common Spanish verbs. Numerous example sentences demonstrate how each verb is used in various contexts (including idoms). There is also a sizeable dictionary of 2,200 additional verbs, showing which conjugation pattern each one follows so you know how to form them correctly. A worthwhile purchase for beginners. With 15 tenses and moods, the Spanish verb is undoubtedly one of the most challenging aspects of the language – crack it and everything else will soon fall into place. This is easier said than done. With a confusing array of irregular, two verbs for ‘to be’ and a difficult subjunctive, Spanish verbs present a serious challenge to new learners. Thankfully, you have at your disposal 501 Spanish Verbs. It explains how each verb’s conjugation follows one of three paradigms, and shows that once you have memorised these patterns, the process of learning how to use individual verbs becomes infinitely easier. It then delivers on its promise and sets out the full conjugations of 501 common verbs, as well as listing the infinitives to 2,200 other ones in the back of the back. There is a very useful online alternative to 501 Spanish Verbs: Cooljugator allows you to simply type an English verb into its search bar, and you get the Spanish translation in all of its conjugated forms. It’s not as comprehensive as a dictionary or 501 Spanish Verbs, so you shouldn’t completely rely on it. But it does have some nice features that make up for this downside: stress indicators, pronunciation hints, related verb lists, etc. Compact Spanish grammar chart (six pages) covering everything from rules of stress to the various verb categories and conjugations. An essential for beginners that struggle to remember grammatical rules and want an accessible reference guide. Very reasonably priced. Is it possible to fit the entirety of Spanish grammar on one wall chart? But BarChart have managed to cram virtually everything a beginner Spanish learner would need to know onto just six sheets, and for that they deserve kudos! We are huge fans of visual learning at Language Sherpa (because it works), so we are always looking out for products that maximise on this learning technique, like the Spanish Grammar Chart. The undisputed king of dictionary series, the Oxford Spanish Dictionary contains over 300,000 words, phrases, and translations. Recent stylistic and layout improvements have made it much easier to find the word you need in its correct context. Fully updated to include contemporary business, technical and computing terminology. The best Spanish dictionary out there. With over 300,000 words and phrases, you’ll almost certainly find a translation for whatever it is you need. One of the best features of the Oxford series (that is often lacking in rival dictionaries) is the care they take to provide translations for words in all of their contexts, including idioms, sayings, and figurative usage. Look up a simple word, like ‘hand’, for instance, and you’ll see what we mean: it can be used in dozens of different ways, and doesn’t just refer to the human appendage. Lists the 5,000 most frequently used Spanish words (with English translations), starting from most commonly used downwards. All of the words also come with example sentences. Excellent resource for filling in any important gaps in your vocabulary. Can also be used to provide a rough estimate of your vocabulary size. When you consider that the average native speaker knows about 20-35,000 words, it’s clear that this book will do wonders for your Spanish if you have the stamina to get to the end. One such deck, created by Neri, displays 5,000 Spanish sentences sorted from easiest to hardest. It’s a great way to gradually build up set-phrases and connecting words. You can download the deck from here. Many language guides come out with the same suggestion: start with children’s books. This is TERRIBLE advice. There is nothing easy about children’s literature – especially for learners of Spanish! Although the concepts and storylines are simplistic enough to be enjoyed by toddlers, you face a number of surprisingly tricky linguistic challenges, such as a confusing array of diminutives, strange vocabulary, and irregular sentence structure. Quino’s world-famous Argentine comic series. A great way to build up your reading skills with easy, short dialogues. The simple grammar and vocabulary used means that you should be able to read through these without too much reliance on dictionaries. Mafalda is the creation of Argentine comic artist Joaquín Salvador Lavado, better known as Quino. This feisty young girl is one of the most beloved literary creations of all of Latin America and an excellent way for Spanish learners to get started with their reading. As with Tintin, the texts are never overwhelming – the bite-sized, entertaining dialogues are excellent practice for beginners. Unlike tedious textbook conversations, Mafalda’s interesting, thought-provoking plots will keep you engaged. It’s also a good way to start learning about the various Spanish dialects. For example, Argentine speakers often use vos instead of tú. Classic short stories with the Spanish original on the left hand page and the English translation on the opposite page. All stories are from the twentieth century and feature writers that readers may not be familiar with, giving a fresh perspective on Spanish literature. When you’ve finished the textbook the best thing to do is to read some Spanish texts with parallel translations. Having to go back and forth between the book you’re reading and a dictionary can be incredibly frustrating, and often saps a lot of the fun out of reading. Surprisingly, that’s pretty much the only volume of Spanish parallel texts out there. If you want some more reading practice, we highly recommend Olly Richard’s Short Stories for Beginners. It’s an excellent collection of unusual stories that would be perfect for any upper-beginner learner. All of the textbooks that we have selected for our grammar and vocabulary section have lots of written practice exercises. However, if you have exhausted these tasks and want some more drills to work through then you should have a look at the Ultimate Spanish Review and Practice. One of our favourite language learning series. This is a no-nonsense course book that is dedicated solely to testing your knowledge of Spanish verbs. Plenty of practice with over 200 exercises. Extremely reasonably priced. As we mentioned earlier in this guide, the Spanish verb is something that will appear time and time again to give you grief – you would do well to deal with it earlier rather than later. This book is a great choice for any beginner that wants to perfect their use of the Spanish verb. This is not just a case of getting the conjugation right – it’s just as important that you choose the correct tense if you want to avoid sounding gratingly foreign. After you have worked through the 200+ exercises in this book you will have a lot more confidence in making this choice. What we particularly like about Spanish Verb Tenses is the accompanying app, which allows you to go over the exercises on the go. The explanations are top notch as well. The best online Spanish course for beginners looking to kickstart their listening skills. Packed full of targeted audio and writing exercises, all organised thematically. Seamless transition from desktop to mobile app, and vice versa. No subscription – a reasonable one-off fee unlocks the entire platform for life. We are huge fans of thematic vocabulary learning (Using Spanish Vocabulary, for instance, is an essential resource to get) as we have found that structured learning is the best way to keep words in your long-term memory. We were really pleased to see that the team at Rocket Spanish share this viewpoint and organise their lessons along thematic lines. Most language apps come across as little more than half-hearted afterthoughts. Some platforms even have the audacity to charge you extra for it. Rocket Spanish’s mobile app (free for both iOS and Android) has been designed excellently and was far more intuitive than all of its rivals. 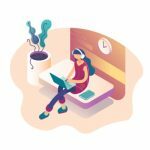 Rocket Spanish only provides you with the tools you need to make real progress with your Spanish – interactive audio lessons, detailed writing exercises, and an excellent narrative story which solidifies your situational vocabulary. The sooner a student weans themselves off what we call ‘teacher-speak’, the sooner they will understand real conversations. This is what Rocket Spanish does from the very beginning, using authentic dialogues to build your listening skills up. 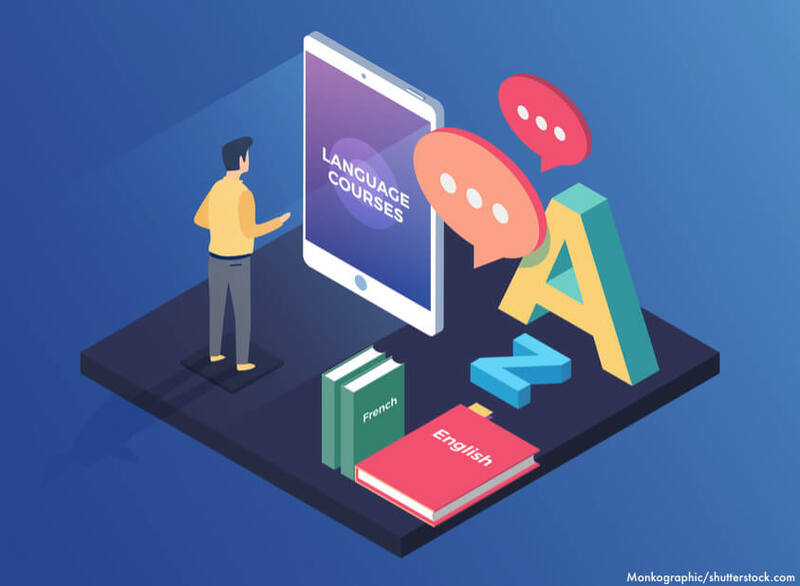 Almost all online language courses nowadays charge for monthly/yearly subscriptions, meaning that over time they turn out to be very expensive. With Rocket Spanish, however, once you’ve paid the one-off fee you get access to the full platform for life. Although the price may seem a bit steep, you then fully own all of the lessons and downloadable material inside – you’re not ‘renting it’. This means that in the long run Rocket Spanish is probably the cheapest course on the market. Although the lessons are probably a bit on the easy side for advanced learners, for beginners this is an absolute must-have resource. The sheer quantity of audio and video lessons alone makes it far and away the most efficient way to improve your Spanish listening skills. SpanishPod101 has been expanding steadily for the last few years thanks to its dedicated team. As it is continuously adding new content to the site you can be sure that you will always have fresh material to practice with. Create a free account at SpanishPod101 now! Although Spanish only uses a few extra letters than English, it’s still a good idea to get some keyboard stickers while you get used to their placement. You can find a range of transparent Spanish stickers that sit neatly on your keyboard without obscuring the original English symbols next to them.